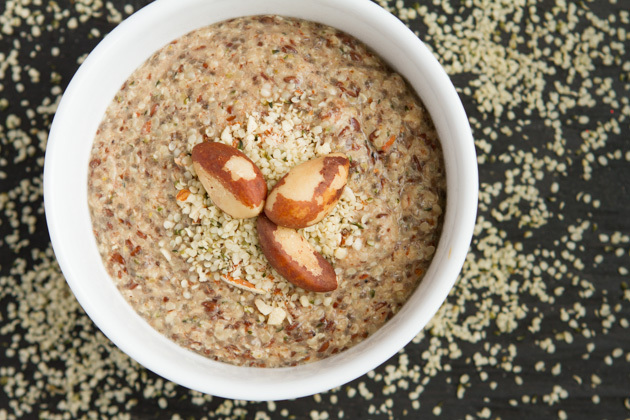 A keto and grain-free porridge made with just nuts and seeds. Over 24 grams of fiber in every bowl. A hearty meal that’s gluten-free, sugar-free, dairy-free, vegan, low-carb, keto, and paleo. Porridge is good, especially with the weather we’ve been having. I tracked how much time I spent shoveling snow last week… 2 ½ hours. That’s insanity – secretly I love it, so much more refreshing than heading to a stuffy gym. The dogs were playing in the snow, I was listening to music, but I digress. Porridge. Porridge is great… if you eat oats. 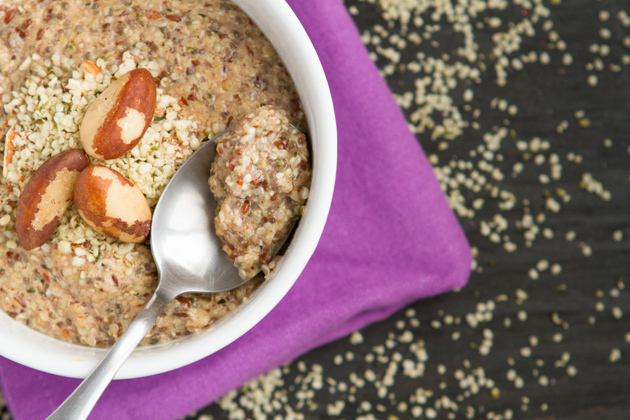 Heck, even if you eat quinoa or amaranth; the grain-free “seeds” of the porridge world, porridge can be your thing. But, for many of us who can’t digest grains AND have a challenging time with quinoa and amaranth, porridge just isn’t in the cards. Did you know? 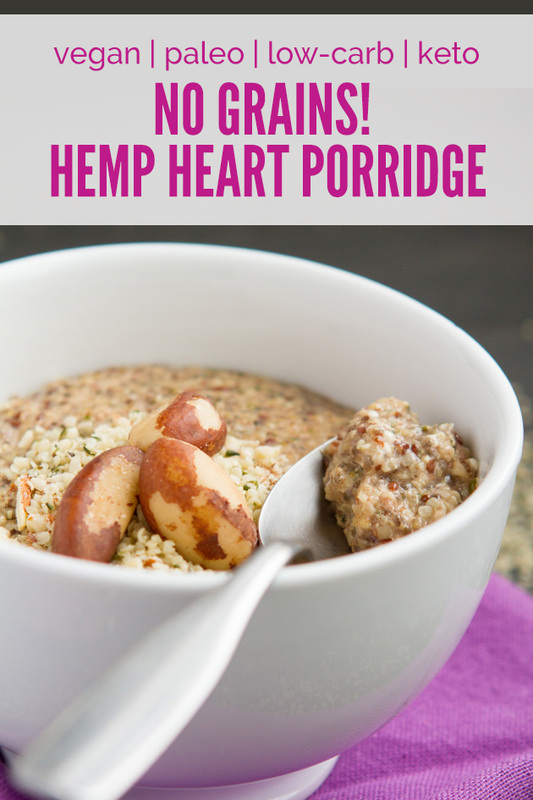 Hemp hearts act like oats? You bet. 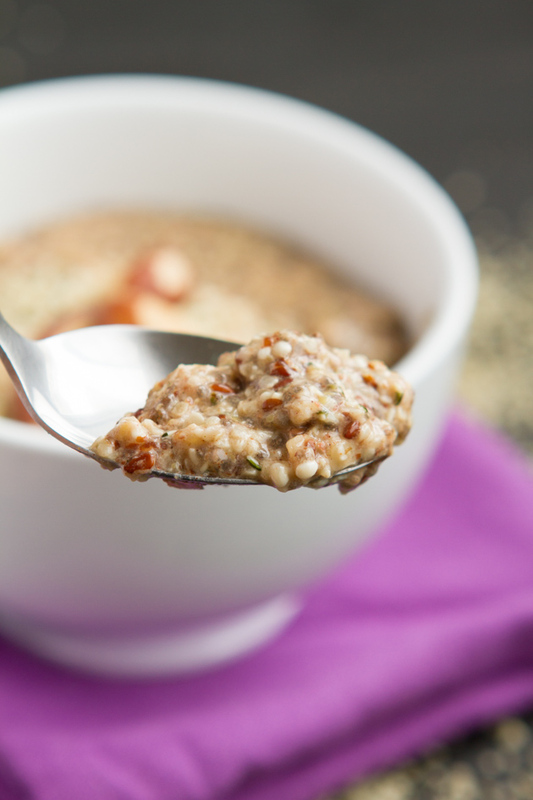 They don’t absorb liquids like oats do, but add them to a pot with keto porridge-like ingredients and BOOM, you have yourself a keto porridge. 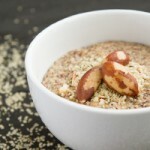 I used organic Manitoba Harvest Hemp Hearts for this keto recipe. 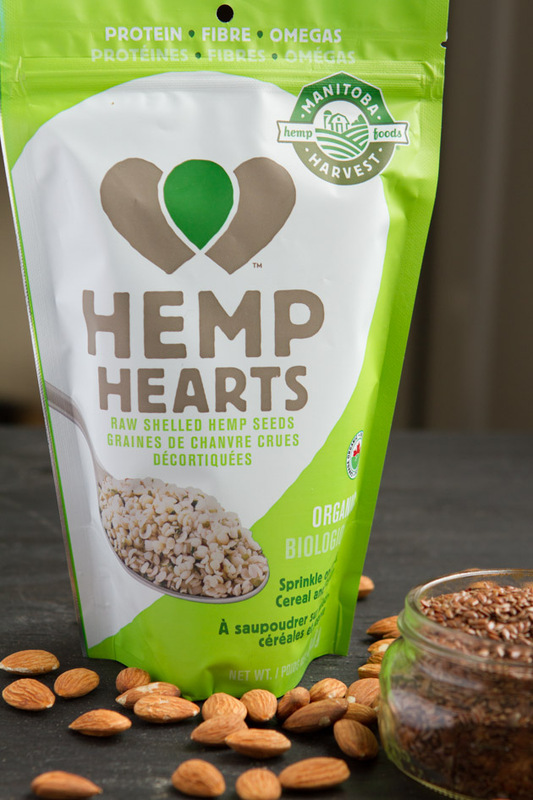 I like using their hemp hearts because they’re locally produced, I’ve met the team, I’ve seen the facility, I love their message and I’ve even drummed with them (there may have been dancing, too). I’ve tested this keto recipe multiple different ways, you can have a lot of fun with it. Today, I’m giving you the basic keto template. From there, you could add egg whites, egg yolks, grass-fed collagen, replace the ground almonds with more seeds if you’re sensitive to nuts, different spices for different flavors, eggnog in place of milk, you name it. PLAY. 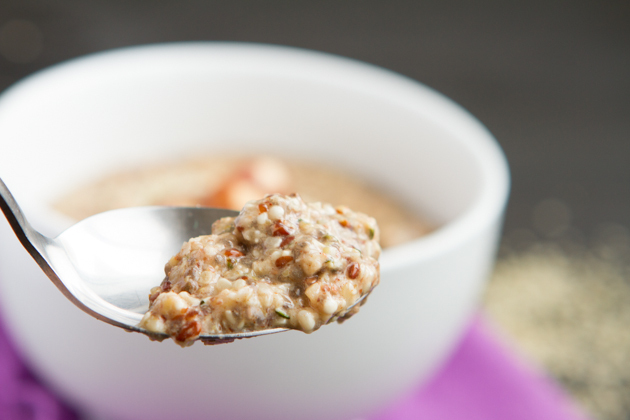 A grain-free, keto porridge made with only nuts and seeds. Over 24 grams of fiber in every bowl, a hearty meal that’s gluten-free, dairy-free, vegan, low-carb and paleo. Making Ahead: I have not tried making this keto recipe ahead of time and eating it later. I’m not sure if it would get too sticky? 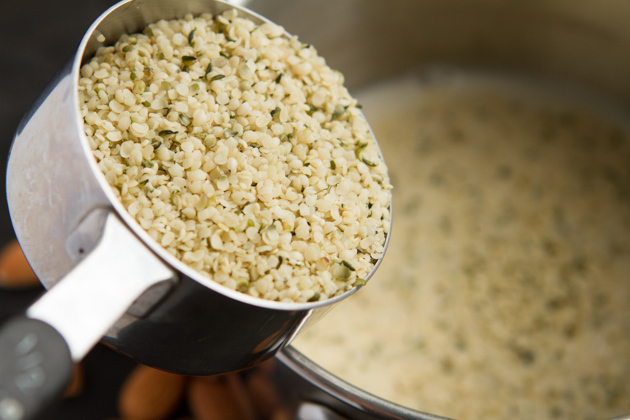 Nut-free: If you can't do nuts, simply replace the ground almonds with crushed sunflower seeds or pumpkin seeds. 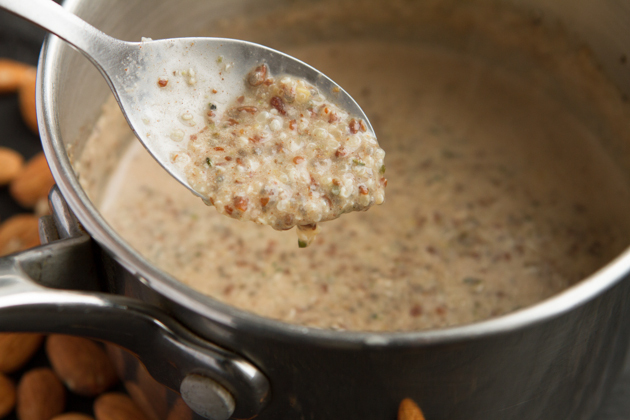 Digestion: If you're sensitive to nuts and seeds, you could try soaking the ingredients beforehand. Note for those following a low-carb, ketogenic eating style as outlined in my book, The Keto Beginning. It’s best to enjoy this keto recipe before bed, as your last meal of the day. The reason being is although the net carbs for this keto recipe are a little over 2 grams, the shot of carbohydrates (regardless of the net carbs) may affect your blood sugar, depending on how sensitive you are to carbohydrates. It’s therefore best to do this at night so that your body has the glucose it needs for healing. Consuming foods that do this to your blood sugar in the morning, inhibits your body’s ability to burn fat during the day. Add all of the keto ingredients (but crushed almonds and toppings) into your saucepan. Cook until it looks like this, below. You don’t want it overly “gummy” as it will firm up while it cools. 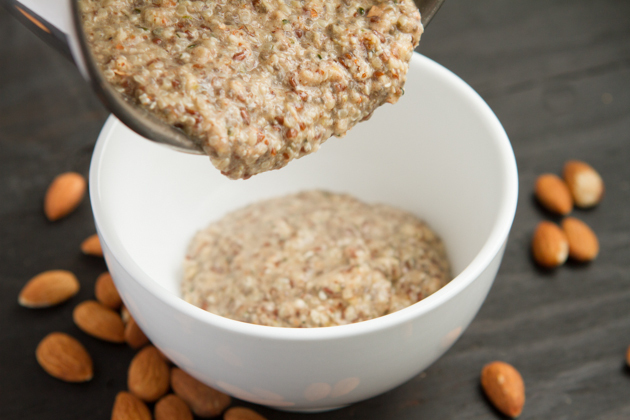 You don’t need to cook this keto porridge too long, just a couple of minutes to heat things up. 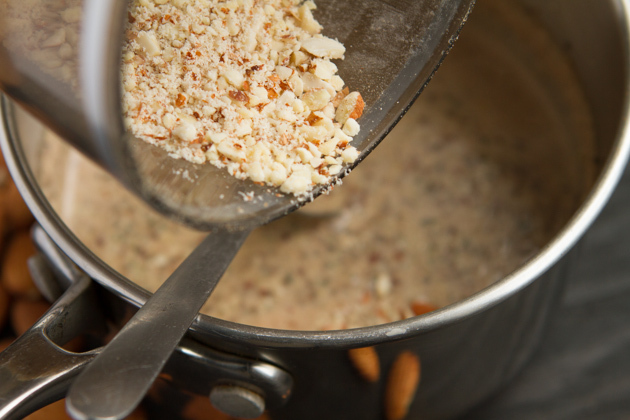 Drop in the crushed almonds, and give it a good stir. Transfer to a pretty bowl, top with additional keto goodies and dig in! And! Manitoba Harvest just launched a New Year, New You campaign where they’re kicking off 2015 by giving away the products from other brands that they love – Natural Vitality, Yoga Journal, New Chapter, NutriBullet and more. I know how much you all love free (healthy) goodies, so I wanted to mention it to you. The best way to stay updated on the giveaway happenings is to follow Manitoba Harvest on Facebook. What keto recipes have you made with them so far? I’d love to hear about your keto hemp adventures! I have SO many hemp hearts in my freezer waiting to be gobbled up.